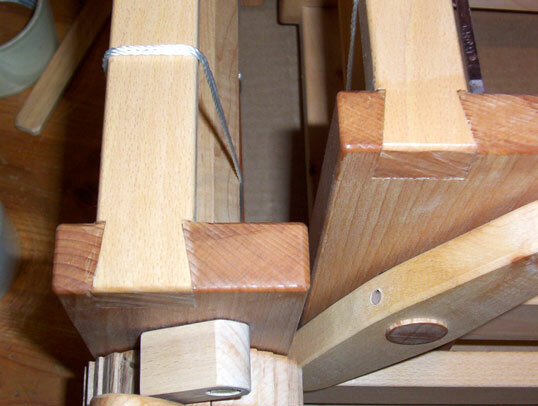 The dovetail joints in the corners of the posts hold together naturally. In addition, the joint is nice to look at. The side rails have tenons 1 1/2 inches wide by nearly 2 inches deep. They are not going to rack out of the joint. If they should loosen up, the tension of the warp will naturally keep them seated. One could even put a pin through the tenon if desired. White Wolf and the Phoenix.